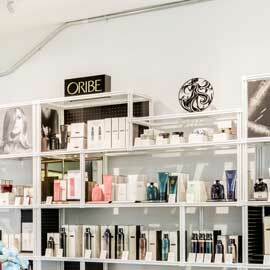 best modern salon for your daily dose of good looks. View the latest styles on Instagram. There’s a professional, yet casual, Palm Springs vibe at Brien O’Brien Salon. With a long standing reputation as one of the best salons in town, we feature a team of highly trained and experienced professionals who love what we do! Come in and see why we keep getting voted Best of the Best by Palm Springs Life, Best of the Valley by the Desert Sun, and Ultimate Pride List by Desert Outlook. Born and raised here in the Coachella valley. I proudly joined the Brien O’Brien Salon team with three years' experience. In that time, my focus has been on cutting, highlights, along with balayage color, color correction, modern cuts for men and women, special occasion hairdressing and make-up. My specialty and passion is color. I am knowledgeable in a wide range of color systems, including Schwarzkopf, Wella, & Redken. Every day is an opportunity to continue to grow and evolve, by helping clients with their unique needs and striving to stay up-to-date with the latest trends. I look forward to seeing you in my chair soon! Caitie attained her cosmetology degree in 2006 from the Gary Manuel Aveda Institute in Seattle. Traveling extensively up and down the west coast she continued attending classes and fine tuning her craft. Caitie specializes in Precision and textured cuts. Woman's shorts and men's cuts, texture and curly hair. Highlights, event styling, creative color, color correction and braiding. As an artist Caitie uses her eye for color and color placement to transform your hair into something truly unique. "I view each and every one of my clients as a blank canvas and as an artist I bring them to life." “I proudly joined Brien O’Brien Salon on opening day and continue to split my week between Palm Springs and Beverly Hills. Previously, I worked for Vidal Sassoon Salon in Beverly Hills for over 25 years, serving as Creative Director of the men’s salon and later as Assistant Salon Manager. I also participated in numerous hair shows, TV and editorial photo shoots, teaching and continuous education. "I opened Brien O’Brien salon in 2008, but my passion for hair began over 20 years ago at the Vidal Sassoon Academy and continued as a certified hair color expert and educator. 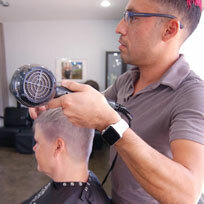 “Because I am committed to bringing the latest styles and innovations to the desert, I have participated in method training from Vidal Sassoon, Aveda, Eugene-Perma of Paris Hair Color, L’Oreal Professional, Schwarzkopf, and Bumble and bumble. I also bring in experts to instruct our entire team. My career started as a teen in Houston, Texas as a Hair Model. When I began training at Vidal Sassoon, I truly fell in love with the craft. Over the course of 25 years, I have become a Master Level Stylist, Master Level Colorist and Make-up Artist. For more than five years I managed a 65-person, 10,000 square foot, full-service Salon and Day Spa in Houston, Texas. Once a month I travel back to Houston to take care of my “Southern Ladies Who Lunch” and their various “miscreant husbands” and boyfriends (all of whom I love dearly). I have worked with many of my clients for more than 20 years. They were the reason I was voted Best Hairdresser in Houston (Houston Press). My husband and I moved to Palm Springs with our cats less than a year ago and we are total newbies. Those are my highlights, now let’s do yours. Daniel began his career after completion of the David Pressley's School of Cosmetology (2001) in Birmingham, Michigan. Through much hard work he found his way to the beauty of the Coachella Valley and has been able to showcase his talents at Brien O'Brien. Daniel feels specializing in simplicity and day-to-day realistic styles truly helps his clients both female and male, exemplify their true self and leave the salon feeling renewed and refreshed. 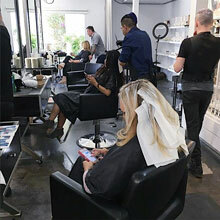 Some of his favorite techniques are highlighting and high lift blondes, bleach and toning, to smoothing services such as Brazilian Blowouts. For the gentlemen, clipper cutting, coloring and everything in between. "I love being behind the chair and guiding clients to achieve their individual expression, their calling card if you will." She attended James Albert School of Cosmetology in Newport Beach, Ca back in 2008. She really fell in Love with the industry through all of the intensive advanced education she has had through Joico, TIGI, and L'oreal. She has been very thankful and fortunate to have had opportunities to work and be mentored by renowned artists in the industry! She specializing in Brazilian Blowout,Color and she utilizing in the latest cutting techniques to create a style specifically for each individual client. A Boston area native originally, my spirit moved me to Palm Springs in 2011, sight unseen, where I fell in love with the amazing healing energies of the desert. I call myself a "Bodyworker," which is another word for a highly experienced massage therapist. For more than 20 years I have served as a master massage therapist, instructor and lifelong explorer of all matters pertaining to integrated health and wellness. In 1996, I opened Bodyworkers, one of the first holistic health practices in Boston. During the highly successful 15 years that followed, I further advanced my skill-set with numerous specialized certifications. I've been an avid "move your body for optimal health" fanatic for over 25 years with practices in yoga, tai-chi, Tibetan martial arts and Crossfit. Nutrition/supplementation is my latest obsession. Lastly, my exploration of diverse spiritual practices these past 25 years has taken me around the world and contributes to my personal approaches to holistic wellness. My commitment is to work with you and your body. I listen carefully and intuitively and approach each session with 100% presence and compassion. My gifts are expressed through me as a true mind-body-spirit connection and I'm thrilled to be associated with the excellence of care and level of professionalism that is prevalent at Brien O'Brien Salon. Result oriented facial to stimulate cell metabolism to dramatically improve skin appearance. Lifts, tightens and firms facial skin increasing textural clarity and tone. A refreshing deep cleanse and thorough exfoliation lead to relaxation as the stress and tension are worked out of neck, shoulders and scalp with an exotic mix of precious oils such as tobacco, sandalwood and spruce. Glycolic acid effectively exfoliates lifeless cells, revealing new emerging skin which will allow for proper absorption of oxygen and nutrients. Actively address fine lines, acne, hyper pigmentation and dry skin and witness results immediately. 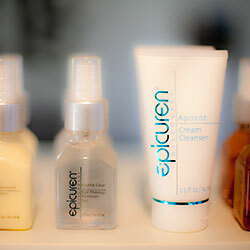 Epicuren acne treatments utilize a unique combination of exfoliating enzymes, sulfur and probiotics as an alternative to traditional methods resulting in a noticeably clearer complexion. Acne clarifying facial tailored as a revitalizing back treatment. Highlights epicuren’s powerful line of propolis products. This amazing ingredient will deeply hydrate, restore and nourish the skin achieving phenomenal results. Utilizing the natural lightening ingredient arbutin, this treatment will brighten the skin by decreasing the visibility of hyper pigmentation and uneven skin tone leaving your skin looking smooth and supple. Great facial for acne, hyper pigmentation, fine lines and wrinkles. Pumpkin is known to be the highest ingredient source of natural vitamin a along with containing over 100 other beneficial vitamins and phyto-nutrients. Your skin will look smoother and younger by increasing cell turnover and renewal. The aromatic, exfoliating treatment appeals to the senses, while polishing the skin. Epicuren’s Old World Salts have a high mineral content that works to hydrate, detoxify and exfoliate the skin. Your body is further relaxed during a luxurious moisturizing massage. Nice lip exfoliation brown sugar and honey lip plumping treatment. Eye instant lift give yourself an instantly fresher, more youthful look. Vitamin c eye brightener rejuvenate the skin around the eye. Epicuren signature enzyme hand treatment amazingly soft and supple. Build your own business while surrounding yourself with a group of highly creative, motivated and fun colleagues. 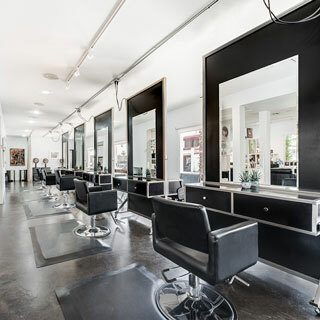 We offer station rental for select stylists who want to be part of the best salon in town while maintaining their independence and maximizing their income. Come check out our chic environment, featuring clean, modern design with an easy going yet professional vibe. Located at The Corridor, a spectacular location known for its stunning outdoor courtyard with postcard views, locals and visitors alike stream in every day to enjoy Koffi in the Palm Springs sunshine. Our diverse team brings urban-level skill to Palm Springs and the Coachella Valley. Featuring experienced and well-trained stylists and colorists, we specialize in modern haircutting and color techniques, with a focus on balayage, dimensional hair color, and blondes. We pride ourself on our commitment to continued education and inspiration which we bring to our clients every day. Bring life back to your skin with this energizing treatment. Restore skin vitality with potent antioxidants and skin nourishing vitamin C. Brighten while minimizing the look of fine lines and wrinkles. Reveal the brilliance of your skin with this clarifying and brightening facial. Purify and illuminate skin with charcoal, Vitamin C and naturally brightening ingredients. Specifically designed for men, a deep pore cleanse with exfoliation and hydration to reduce signs of aging and increase cell turnover to reveal a smoother complexion. This is specifically for the person on the go. 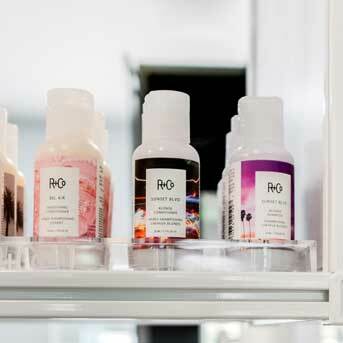 This customized Facial is uniquely designed to give maximum results in minimum time. Microdermabrasion uses an instrument infused with tiny crystals that gently exfoliates your skin. This non-invasive procedure removes the uneven and outer layer of the skin. By rejuvenating the skin, the results are a fresh, healthy, and clean surface. Microcurrent is a low level current that mimics the body's natural electrical currents , on a cellular level to repair damaged skin and stimulate collagen and elastin production. This anti-aging facial will improve your skin's elasticity and soften expression lines with a deep infusing blend of oxygenated vitamins and antioxidants. This facial is designed for all skin types. The application of ultrasonic frequency is used to plump up and smooth out fine lines and wrinkles, tighten sagging skin and relieve puffy eyes. This treatment mimics many of the traditions used while performing treatments for the face. It incorporates deep cleansing, extractions and purifying masks. Chemical peels are used to treat many skin conditions such as acne, hyper pigmentation, fine lines and wrinkles. A peel allows your skin to shed off a layer, making room for new healthier skin. Peels require a consultation first. An ancient practice to relieve pressure and remove earwax buildup. It creates a vacuum that allows the body to naturally relieve toxins and debris effortlessly. It's a very relaxing and soothing treatment. 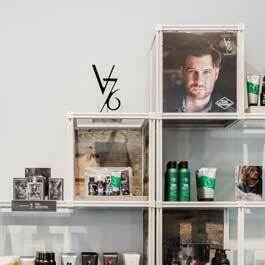 Brien O'Brien salon is proud to partner with Oribe, R & Co, V76 to bring you the highest quality, most innovative haircare and styling products on the market. We use Schwarzkopf haircolor, and feature Brazilian Blowout services. Sign up to our mailing list to receive updates & promotions. sure stop by when you are around. See you soon!